Located a 15-minute drive from Almaty 1 Train Station, this hotel is a 3-minute walk from the Silkway City Shopping centre in Almaty centre. It offers air-conditioned rooms with a minibar. Free WiFi is available throughout the property. Each room at Berkana Hotel features bright classic-style décor and a seating area. A hairdryer is provided in the bathroom. 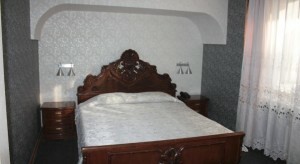 Set in the city centre, Hotel Berkana offers good access to Almaty’s attractions. The central Abay Avenue is 1.2 miles away, and the Republic Square is 8 minutes’ drive from the hotel. Almaty Airport is 9.3 miles from Berkana Hotel, and a shuttle service is available on request.